Can I Eat the Seeds of a Habanero Pepper? The lantern-shaped habanero pepper is one of the hottest peppers in the world. 1 Does Fire Roasting a Jalapeno Make It Hotter? 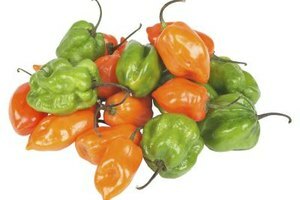 The habanero is the hottest capsicum that's widely available. It's a highly pungent and aromatic pepper with a blistering heat that is concentrated in the seeds and spongy white inner membranes of the fruit. Habanero seeds are edible, but they're significantly hotter than the flesh and can cause significant temporary pain or discomfort. The Scoville scale is a measurement of the spicy heat of a pepper and the products of peppers, such as hot sauce. A green bell pepper, the mildest of the capsicums, has a Scoville rating of 0, meaning there is no detectable heat. A jalapeno pepper has a rating of between 2,500 to 5,000. The habanero, in contrast, is rated at between 100,000 and 350,000 on the Scoville scale. Capsaicin is the compound that gives habaneros and other capsicums their characteristic pungent, fiery flavor. The more capsaicin produced by a pepper, the higher its Scoville rating. The amount of capsaicin between habanero peppers can vary with growing conditions. Hot temperatures and low water availability both raise capsaicin production. Ripening is another variable; capsaicin levels rise from pollination until the pepper becomes fully ripe, so the hottest habeneros have reached their final red or orange color. Capsaicin has beneficial effects on the body when eaten: It boosts metabolism, helps regulate temperature, and sends signals to the brain to make us feel less hungry. Ongoing studies point to other beneficial effects of capsaicin in pain relief. However, capsaicin is an oily substance that clings to the skin and can be highly irritating to the skin, especially to the lips and eyes. If your mouth is "on fire" after eating a habanero or its seeds, drink a glass of milk. The casein in dairy products removes capsaicin from its receptor site on your skin. Similarly, if your hands or mouth burn from contact with habaneros, soothe the site with some dairy. Only use water or saline solution if capsaicin comes in contact with the eyes. To maximize habanero flavor while minimizing heat, prepare your habaneros by cutting them in half and removing the seeds and inner membrane. 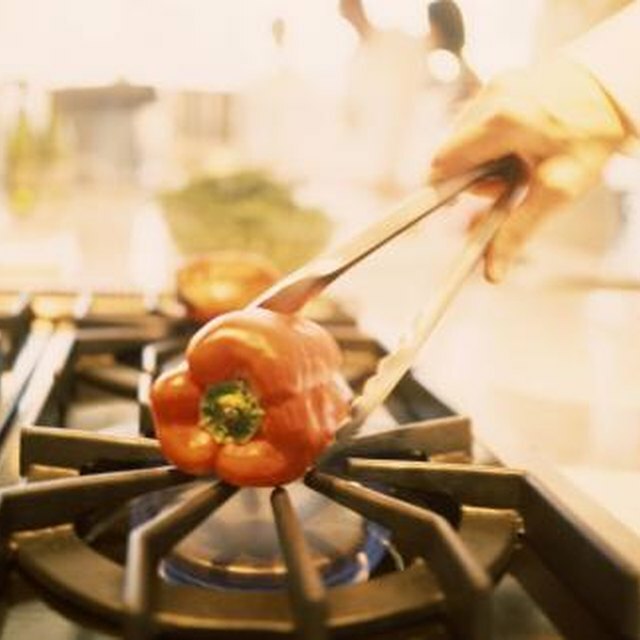 Be sure to wear rubber gloves and use a fresh cutting board and knife to avoid transferring the oily capsaicin to other foods or to your skin. If you are using dried habaneros, remove the stem and seeds and then soak in hot water for 10 minutes. The pepper water can be used in your recipe. Maggie Daniel has been writing on food, home, parenting, nature and travel for regional publications since 1999. She holds a B.A. in communications and environmental science from California State University, Monterey Bay. Does Cooking a Habanero Pepper Make It Hotter?